When you’re working with freelancers, it’s important to keep each person on your team updated on an entire project, to choose freelancers who can work together well, and to build a team that completes your goal in a reasonable amount of time. One poor worker can bring down an entire project, so what should you do to pair up the right talent? The first step to getting together a good team of freelancers is to start with a freelancer you trust. If you don’t have one working with you yet, ask colleagues or others in your industry about potential freelancers who do good work. From there, you can ask the freelancer for opinions on others who would be an asset to your project. Many times, freelancers know others who perform similar or compatible work, making it easier for them to get bigger jobs and to work together on projects. Picking out a pair or trio who already know how to work together can be helpful. One struggle many freelancers have is knowing the basics about a project. When will each person be paid? What is the pay rate? When are the deadlines for each part of the project? These are important pieces of information that anyone running a project should be upfront about. Once you decide on pay, pay dates, and deadlines, you should also work to set up communication routes. Emails are great for quick notes and contracts, but if you can have a platform or online program, like Google Docs, that everyone can access, that’s better. When everyone sees the same project, the same updates, and the same remaining work, then you’re all on the same page when it comes to finishing off the project. Reworking parts of a project will be necessary, except in some extreme cases. You shouldn’t be scared to ask a freelancer to rework part of his section of a project. Most, when on a fixed fee, will do at least one adjustment of the piece for you without complaint. It’s best to ask for tweaks or adjustments unless you feel the work that’s been turned in is subpar. Reworks aren’t the same as rewriting or recreating a project; remember that your team is working on one final goal, and you should make all adjustments during a planning or working phase, not after the work has been completed. Need to get started ASAP? You can make it easy on yourself and let Artisan do the heavy lifting for you. At Artisan Talent, we can find you a freelancing team that can make your project perfect. Contact us for more information. 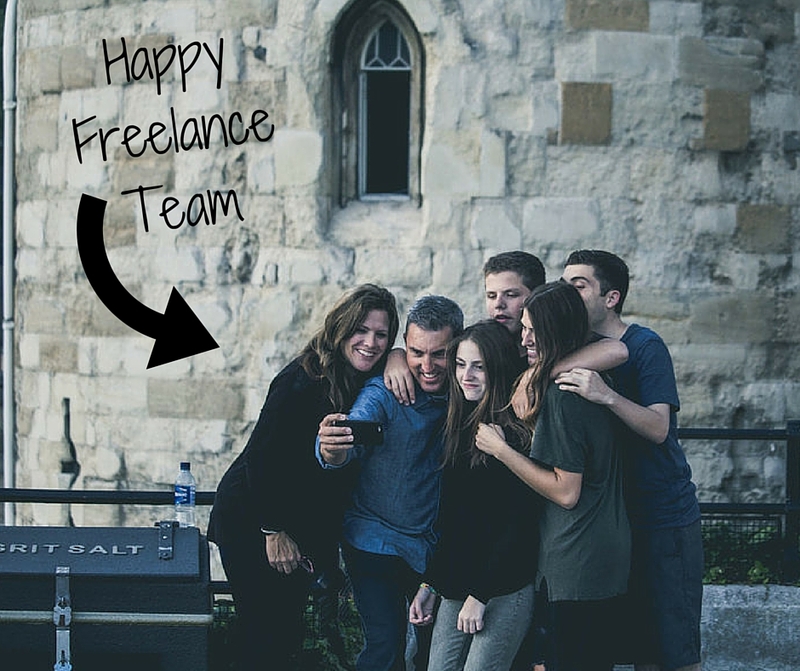 Why Would I Hire a Team of Freelancers?